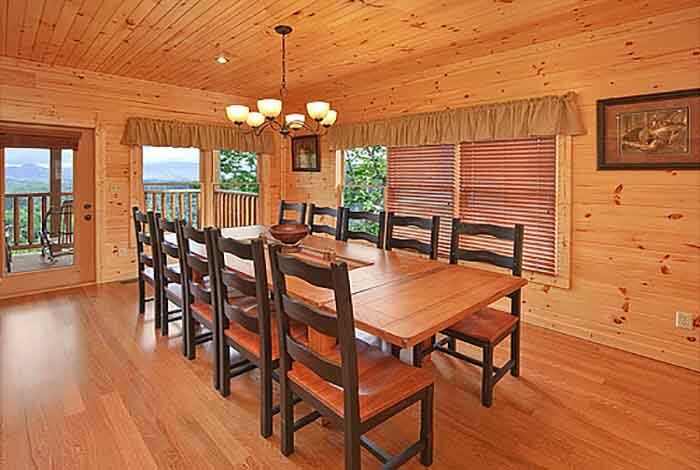 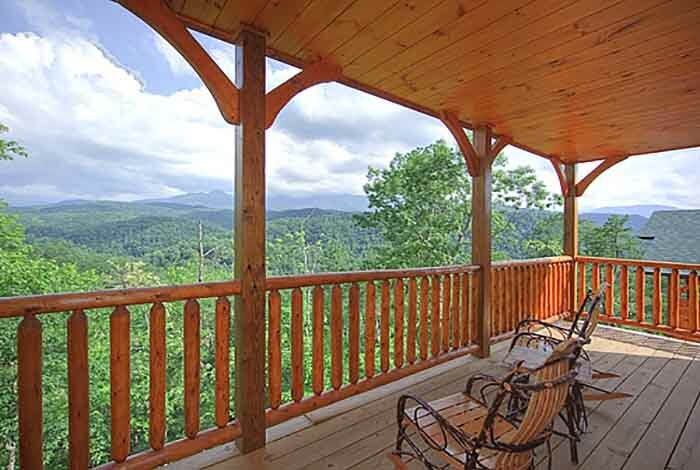 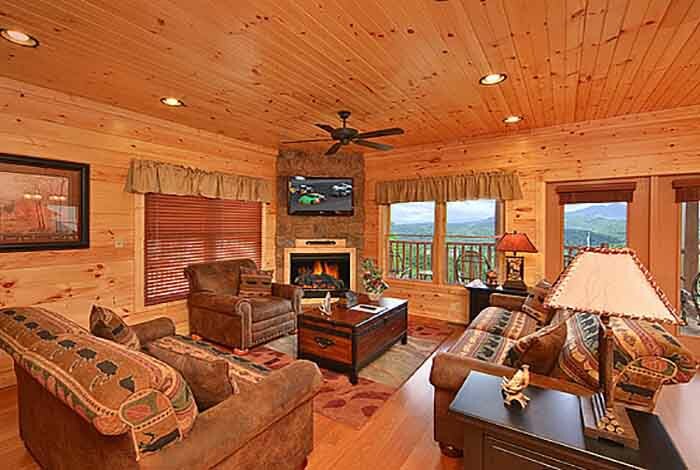 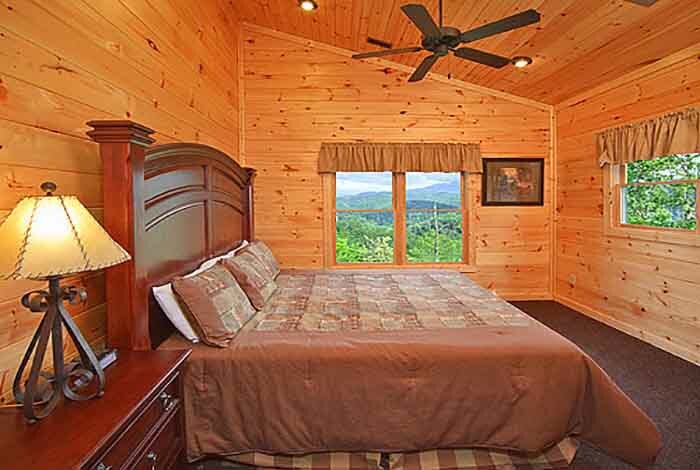 The tranquil beauty of the Great Smoky Mountains is on full display from the decks of Views Forever, one of the premier 3 bedroom Gatlinburg cabin rentals in the Smokies. 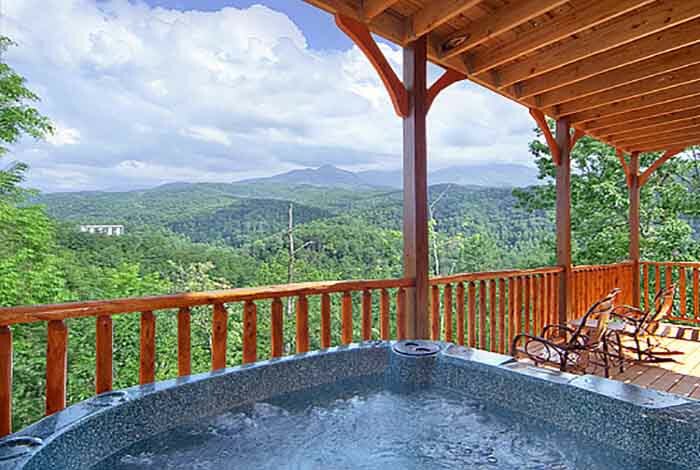 Guests can enjoy these breathtaking views while relaxing in the hot tub and Amish rocking chairs on the deck. 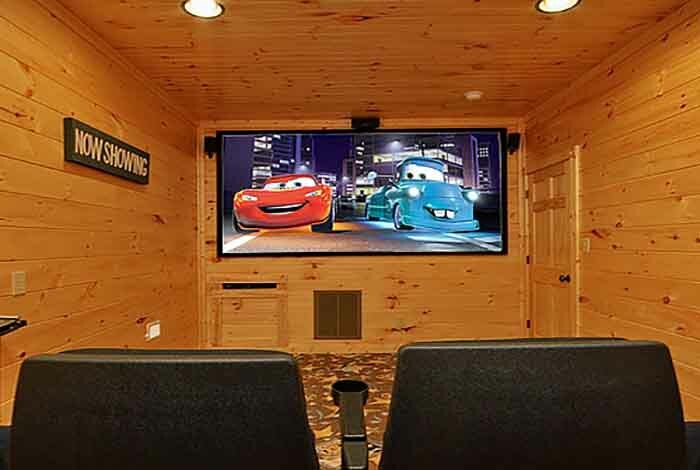 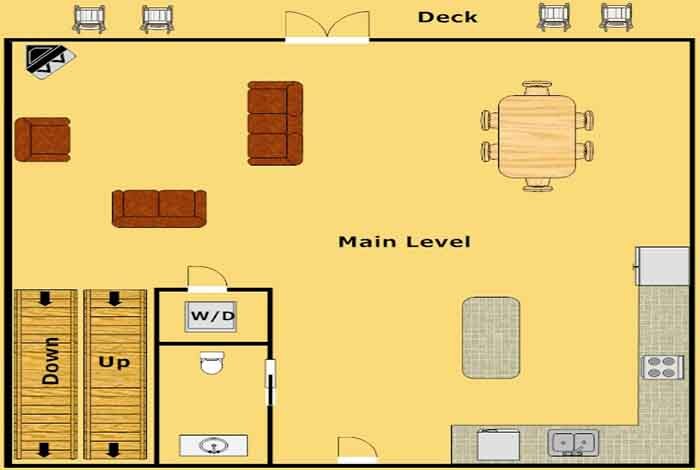 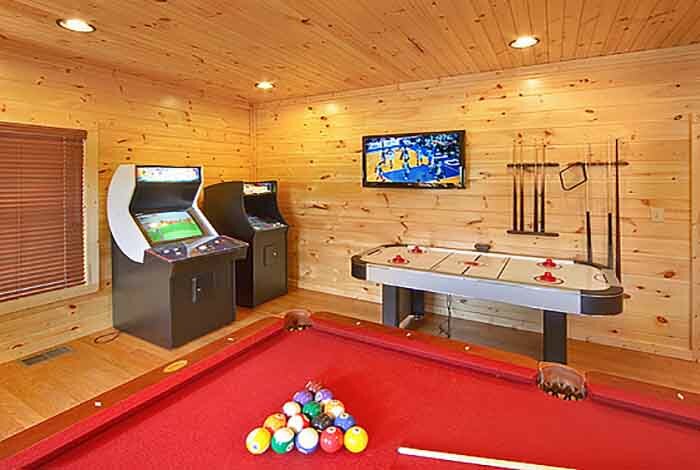 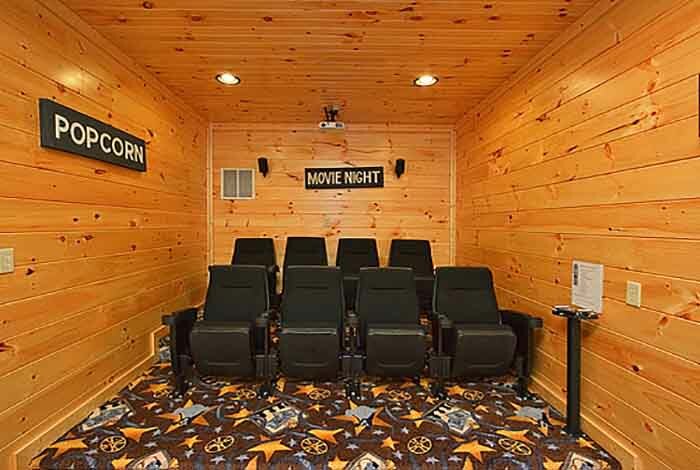 Or, step inside and fall in love with the interior which features lodge-style furnishings, Wifi, fireplace, 4 flat screen TVs, Home Theater, and game room stocked with Pool Table, Golden Tee, Air Hockey, and Multicade with over 20 arcade games. 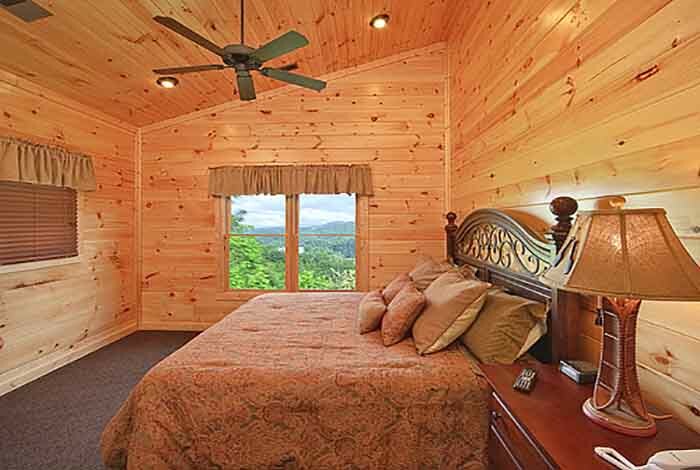 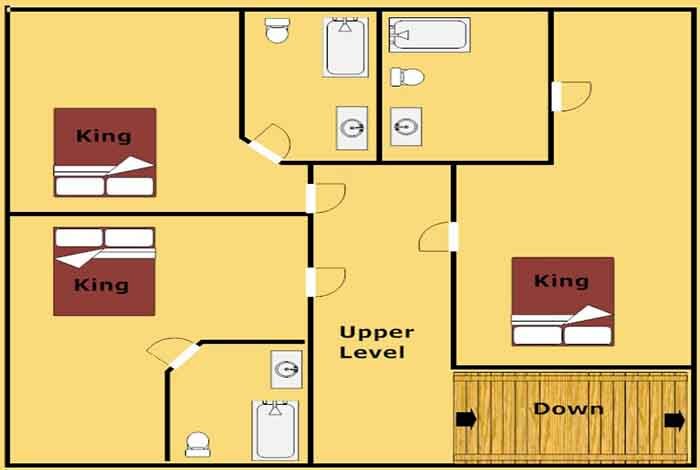 Up to 10 guests can be comfortably accommodated with its 3 king bedrooms and 2 queen sized sleeper sofas. 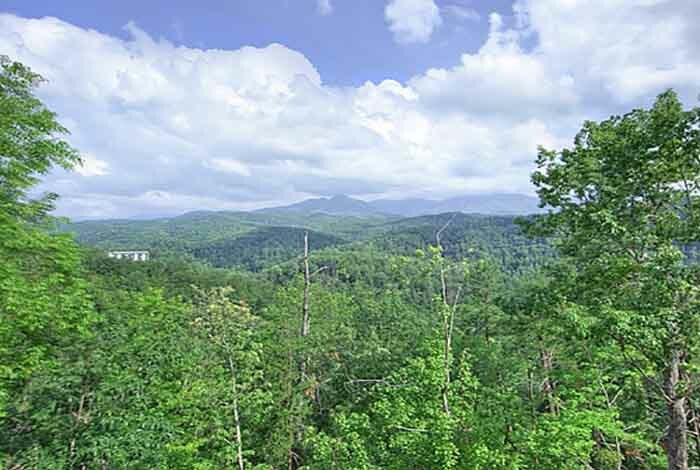 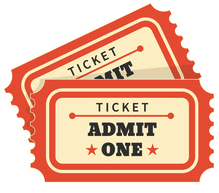 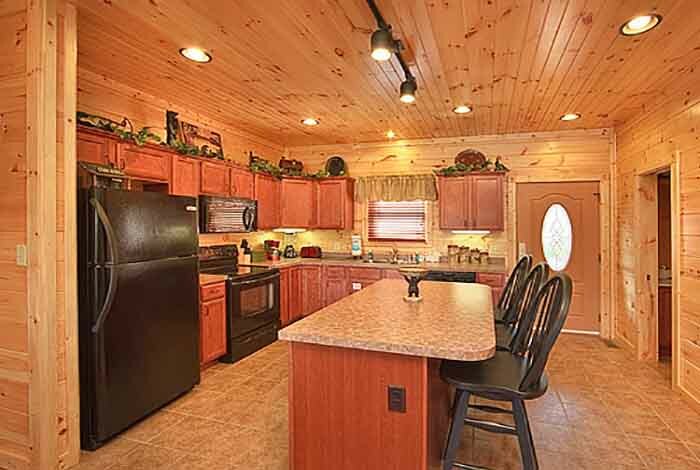 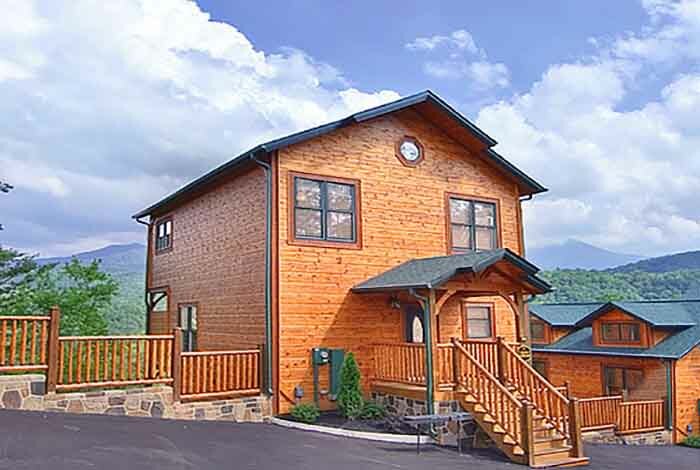 All this while the action of downtown Gatlinburg and Pigeon Forge sit just minutes away. 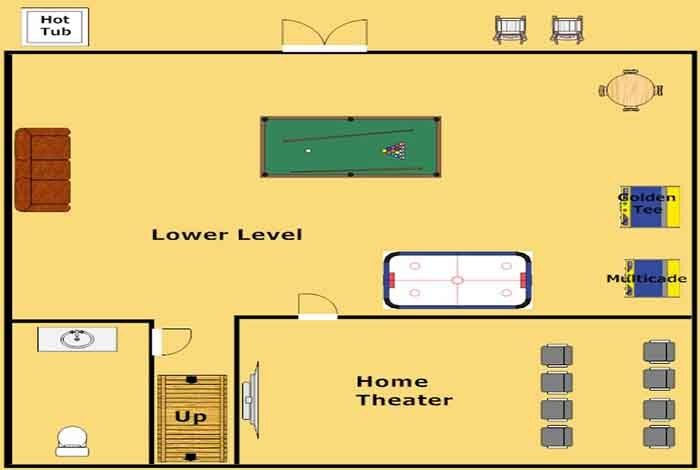 Our guests also gain access to the resort swimming pool and fitness center located near the welcome center.